St. Patrick’s Day Fun with Cheezburger! Oh, Patrick. Patron saint of shamrocks, beer, and pinching. 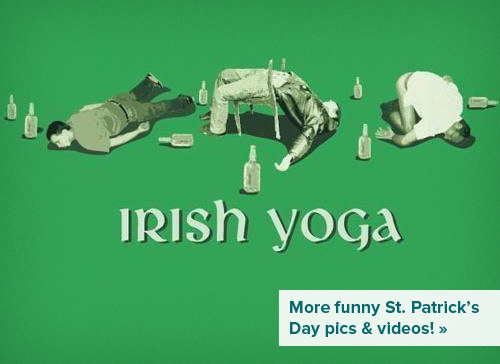 To celebrate his very special day, Cheezburger Site St. Patrick’s Day brewed up a fine batch of memes for you to check out before you pass out. Sláinte! Contact Us to tell us of any errors or problems, and offer any feedback or suggestions! Powered by the cute and insane WordPress. Entries (RSS) and Comments (RSS).